Instead of a short-story, I'd call this a serial. To be honest, as an old-school V.C. Andrews fan, I wasn't sure what to expect, as I stopped reading the ghost-written books about a decade or so ago. I began reading V.C. Andrews in the late 80s, early 90s when I was about 10 years old. When the opportunity arose to read this series, as well as after checking out the blurb, I honestly went into reading thinking I would be disappointed. I know that sounds odd, but I think that actually was a help, not a detriment, as I thoroughly enjoyed Corliss. Corliss was a very short introduction to Corliss, our narrator. Four character introductions, showing events leading up to their admittance into Spindrift, tying into the full-length novel, Bittersweet Dreams. Corliss is a genius, a teenage Temperance Brennan (Bones). She's highly intelligent, cerebral to the point she has a difficult time interacting with her peers, making friends, or dealing with her family. Her mind works on a different wavelength than normal folks. Her narration made it difficult to connect at first, but after I realized her characterization, it made it much easier. Corliss doesn't have any girl friends – she's too smart, risk-assessment, and she is also beautiful. A self-admitted Beyoncé. Since she and her family are poor, she's at a public school that is barely teaching its students as it is, let alone the brightest of the bright. Corliss isn't 'smart,, like how we mean when we say genius – it has another meaning entirely. She's struggling, because in order to get a college acceptance, where they want well-rounded academics, she has to take care of her younger siblings instead of engaging in extracurricular activities, which also puts a divide between her and her peers. After something horrific (the event gave me gut-twisting feels), Corliss is set adrift farther than before, so when the opportunity arises for a different life, she takes it with both hands, even with the guilt of leaving a family who doesn't understand her behind. 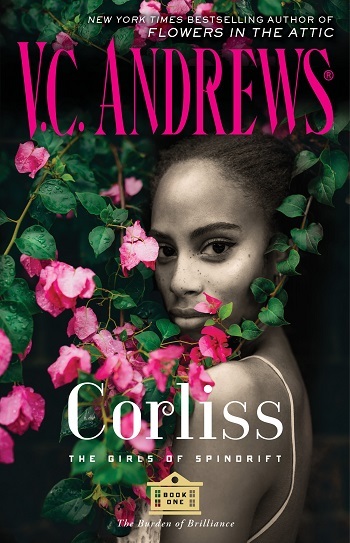 Corliss' introduction left me wanting more, eager to read Donna to see how the next narrator ends up at Spindrift, and is making me feel anticipatory for when the girls finally make it to the school. No doubt, in true V.C. Andrews fashion, nothing good will come from where they will end up. I cannot wait to read more. I'm seriously surprised. Recommended to fans of V.C. Andrews, readers who enjoy young-adult-aged characters, and those who love twisty, gut-twisting thrills. Young Adult age-range: 14+ due to drug-use, bullying, and sexual situations. Sadly, V.C. passed away in 1986. She left several unfinished manuscripts and outlines that were completed by Andrew Neiderman. 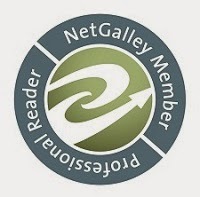 Reviewers on the Wicked Reads Review Team were provided a free copy of Corliss (Girls of Spindrift #1) by V.C. Andrews to read and review.